We all know how Bollywood movies pulled down soundtracks by Pakistani singers post-Pulwama attack in February. T-series was quick to remove songs by Atif Aslam and Rahat Fateh Ali Khan from its YouTube channel. However, on strong demand, the brand uploaded the deleted tracks again after a month. Now the buzz is that Ajay Devgan’s upcoming Bollywood flick ‘De De Pyar De’ included a romantic song by Atif Aslam. Back in January, the music composer of the movie, Amaal Mallik revealed that he has collaborated with the Pakistani singer and was super excited over the release of the track. 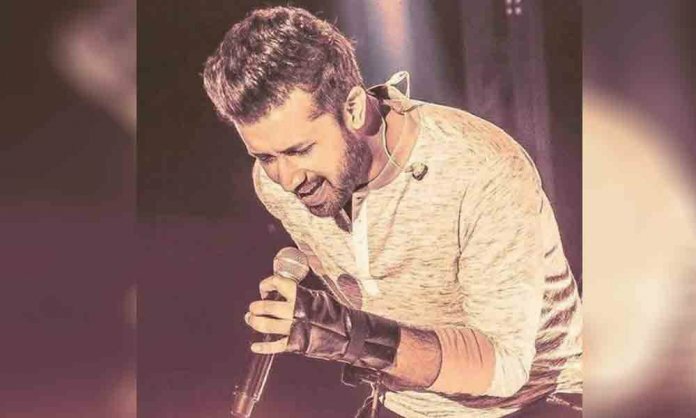 However, the moviemakers have now decided to delete Atif’s voice from the film’s soundtrack in the light of Indo-Pak tensions. Amaal Malik confirmed it himself on Twitter and revealed that Aslam is no longer part of the music album. However, no Indian singer has yet been locked for replacing Atif. Fans of Atif are urging the music producer to at least release the track later in Atif Aslam’s voice if it will not be a part of the movie. Earlier, Salman Khan also shelved a track crooned by Atif Aslam from his movie ‘Notebook’. Helmed by Akiv Ali, the film stars, Ajay Devgan, Tabu and Rakul Preet Singh. What are your views on the story? Let us know in the comments below. The post was first published on DailyInfoTech.